When I was young, I considered the Science Fiction is not a serious literature, but pure low grade entertainment. 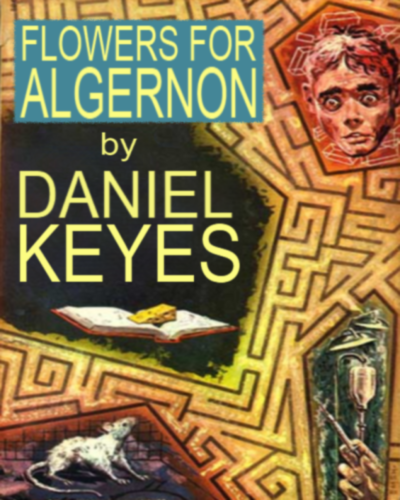 The short story Flowers for Algernon changed my mind and perception forever. This is indeed a brilliant mesmerizing plot and perfectly told story. The section of the short stories about clinical depression will not be complete without it. 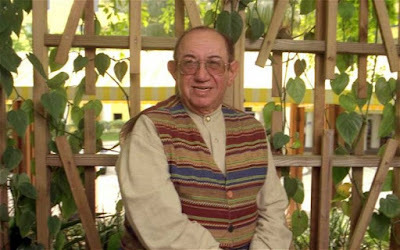 Daniel Keyes was born in Brooklyn, New York, in 1927. He joined the U.S. Maritime Service at the age of 17 and became a ship's purser. Upon returning home, he resumed his education at Brooklyn College (now CUNY), where he received his B.A. degree in psychology. Keyes also earned a license to teach English in New York City schools. It was while working as a high school English teacher that he wrote the short story, "Flowers for Algernon", which was later expanded into a full-length novel. Keyes returned to Brooklyn College to study English and American literature, successfully earning his M.A. degree. In 1966, he joined the faculty of Ohio University in Athens, Ohio, as Professor of English and Creative Writing. In 1988, Brooklyn College presented Keyes with the Distinguished Alumnus Medal of Honor. In 2000, he was honored with Professor Emeritus status at Ohio University. Keyes died on June 15, 2014, at his home in Florida. The first, and the most famous, movie version, titled "Charly" was made in 1968. Cliff Robertson won the Best Actor Academy Award for his portrayal of Charly. Besides winning an Academy Award, Flowers for Algernon was nominated for a Hugo but lost to 2001: A Space Odyssey for the Hugo Award for Best Dramatic Presentation.